Marise and John May `took a little step off the diving board’ when they bought the Millers Flat Holiday Park. 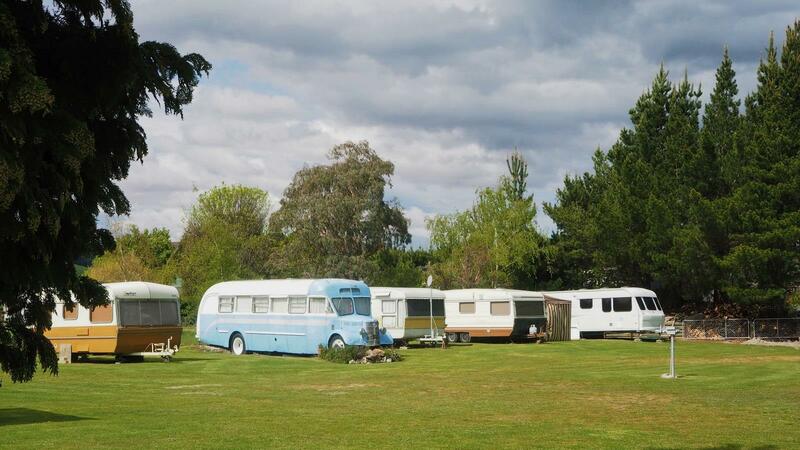 Nestled in the small Teviot Valley township close by the mighty Clutha Mata-au River, the 5-acre camping ground is a quintessential Kiwi holiday spot where plenty of good times are shared. In 2015 the Mays were ready for a change—John had been in the police for 30 years and Marise had a long career as a bank manager. The time was ripe for a move and the couple began exploring the possibilities of buying a camping ground. A mix of family connections, pragmatics and opportunity drew them to Central Otago. They love the climate and outdoor lifestyle. Being together all-day, every day was something new for the Mays but they are a team that hums. Marise takes care of the office, planning, and health and safety, while John is the cleaning and maintenance man. Contributing to the community and local environment are important priorities for the Mays. They’ve planted around 100 native shrubs and cleared a campside walkway on the edge of the Clutha Mata-au River. They’ve also installed recycling bins that have halved the camp’s waste. At the Millers Flat Holiday Park, what you see is what you get. This is gold-hearted, traditional Kiwi camping at its best. It’s not about being the flashiest place around but about a friendly welcome and an authentic Kiwi camping experience, including making sure there’s plenty of hot water. “It’s important to be true to our customers, to not over promote ourselves or embellish it. It’s always been at the forefront of our minds to make sure that we are open, honest and act with integrity. Each season the Mays welcome their Otago Southland regulars as well as a growing number of international visitors. Sometimes the camp ground is a bit of a melting pot. In any given month, up to 50% of customers can be from overseas.